The story of one Vladimir draft horse, or a little about what horses are sometimes sold. The price for the Legendary was 190 bn. People began to actively bargain, and one very persistent buyer managed to reduce it to 150t.r. A month could not come to see the horse, everything found reasons to postpone the visit. And then, and did, called, and asked to sell for 130! Praise to Yuri Laptenko, who wrote to Natalia, what a promising colt, how unique his mother is, and he was removed from sale. The failed buyer dropped even to threats, so worried that the sale broke. Literally a few days later, they began to receive offers to sell for 300 TR, but the guy stayed on the farm. Now this is a promising, developing stallion, which at 2 years at the International Equestrian Exhibition Hyposphere-2016 was the first among the two-year-olds, was awarded the title of Absolute Champion of Russia among all stallions, and received the "Leningrad region's selection hope" award. In the same year, in Moscow, at the equestrian equestrian exhibition Equiros-2016, he became the best among the two-year-olds, was awarded the title of the Absolute Champion of Russia among stallions, and was awarded the title of Absolute Champion of Russia among all horses of the Vladimir breed. 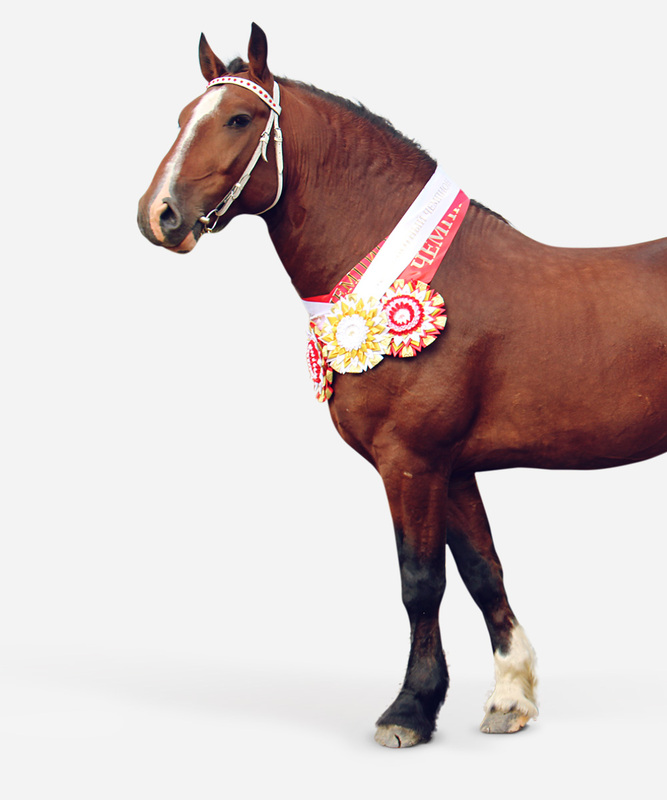 In addition, I want to say, if you really want to buy a horse, evaluate it in dignity. Do not devalue the zeros of the breeder's work invested in it. As in the case of the Legendary, it was easier for the owners to not sell the horse at all, than to give it away for nothing. And, happy owners of the Vladimir horses! Look close at your horse. Perhaps you have a treasure, but few know about it. Take him once to the exhibition. Our horses are so small! Do not hide on the stables, show, appreciate! Let people see how beautiful they are! In any case, for you and your horse this will be a pleasant adventure, a bright and exciting memory!